· Ability to adjust transparency levels to suit individual preferences. The ssOverlay icon is a yellow arrow pointing upwards. 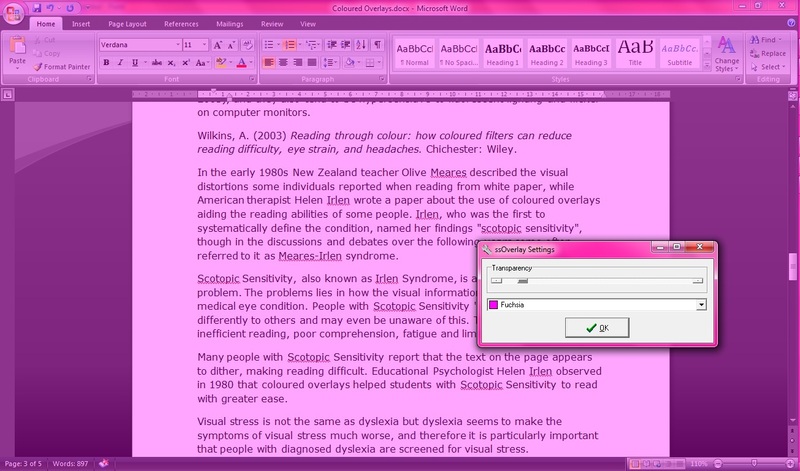 Written instructions for using the features of both programs are shown here but there are also many videos available on YouTube which explain the features of ssOverlay in a visual format. 1. 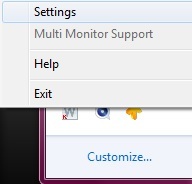 Right click on the ssOverlay icon in the bottom right task bar. 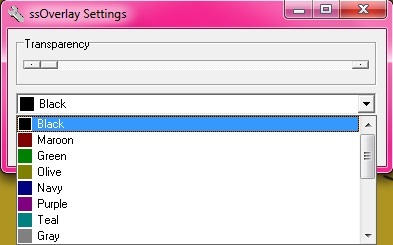 Select the Settings option. 3. To select a colour to overlay, click on the drop down menu arrow on the second option and click the colour you wish to use. 6. 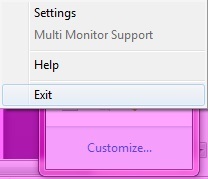 To revert your screen back to the normal settings, just right click on the ssOverlay icon in the bottom right task bar and select exit.